Cancun's best kept secret: top chefs teaching best regional culinary specialties. CANCUN, Mexico - Feb. 7, 2017 - PRLog -- The Mexico Lindo Cooking School is celebrating two years of entertaining best regional culinary instruction. Highly acclaimed as a Cancun attraction, the School is located amid the elegant Riviera Maya. Learn how to prepare gourmet Mexican menu amid artisanal majolica and rustic tiles. A five-star Tripadvisor rating ensures Mexico Lindo Cooking is culinary destination. Be sure to take home sunny memories from the School's own "Tiendita" including other regional handicrafts. Mexico Lindo Cooking also offers a menu of Culinary Destination getaways with various participating hotel packages. To talk about food is to talk of love, traditions, culture and heritage. Discover the Mexico Lindo recipe archives for year-round inspiration. 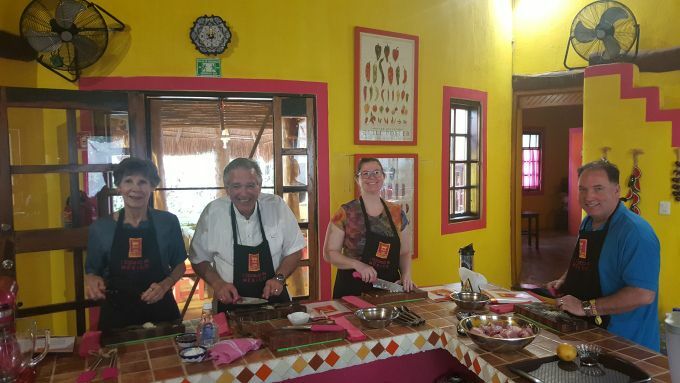 Mexico Lindo Cooking is a complete experience: a traditional kitchen sharing the best of Mexican heritage and culture.